Although it might technically have missed its announced first-quarter launch window by a few days, nobody is going to argue that Intel’s uber-powerful Skull Canyon NUC isn’t an impressive piece of kit. Packing a Core i7 CPU with Iris Pro graphics, support for powerful DDR4 memory, and M.2 storage, it has the potential to change the face of small-form-factor PCs. Intel previously talked up its Skull Canyon design back at CES 2016, describing it as a game changer with a new design, new focus, and possibly even a new intended audience. Now that we’ve gotten our first look at the system, we can see why. It features a new form-factor design, with an elongated chassis that makes it look like a small console or Steam Machine, rather than a NUC. It also bears a large skull logo, which means this is unlikely to be marketed as a mainstream system. There’s definitely a gamer vibe about the whole thing. Iris Pro 580 graphics aren’t anything to shrug at, with Intel previously stating that it was capable of outperforming as much as 80 percent of dedicated graphics cards (as per WCCFTech). Considering that’s sitting aboard the powerful, Skylake i7-6770HQ CPU, the result is a solid combination. We aren’t expecting this system to dominate high-end discrete GPUs of course, but if it can offer solid entry-level gaming at its $650 price tag, that could make it a solid purchase for a lot of people. Overall performance will also depend on what additions people make to it, though. 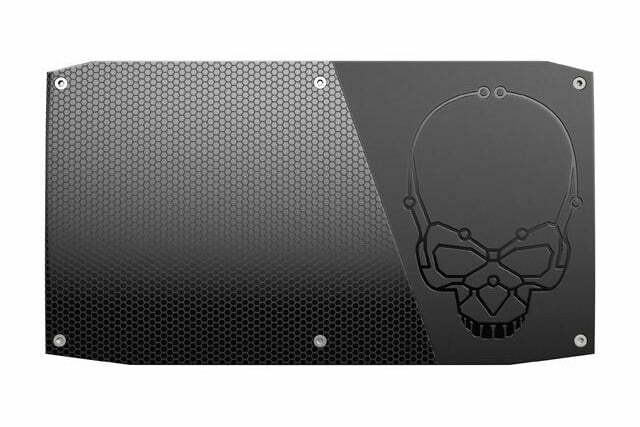 With support for up to 32GB of memory and the ability to utilize high-speed M.2 SSDs, the Skull Canyon NUC could be quite a powerhouse. That should be especially true if you paired it up with an external GPU enclosure as TechReport suggests. 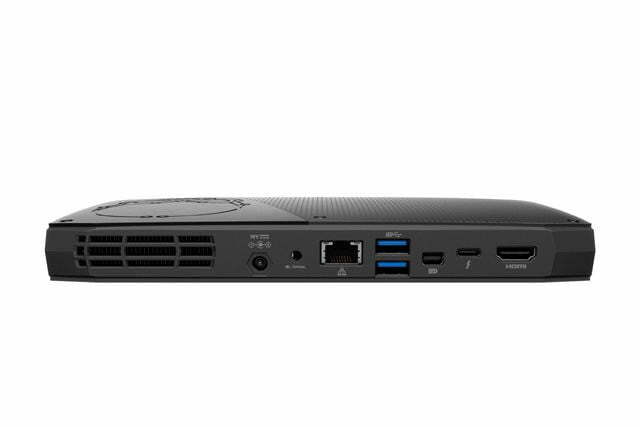 Connectivity-wise the Skull Canyon system offers a Thunderbolt 3 port, one “Display Port via USB-C,” four USB 3.0 ports, and a single SDXC slot. It also has support for Intel Dual Band Wireless AC and Bluetooth 4.2. 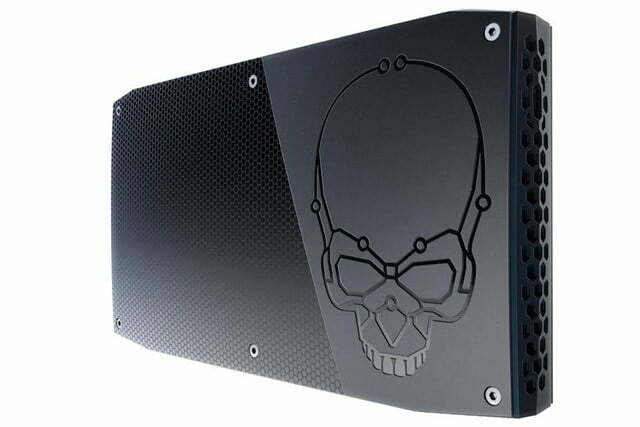 Available to pre-order now at $650, the Skull Canyon NUC will be officially available on May 12. Would you have one of these in your living room?